AT&T has officially announced that the handset with the deep Facebook integration, the HTC ChaCha, will be added to its lineup as the HTC Status. The handset allows you to update your status quickly (hence the phone's name) as well as post images, share music, and get your news. The blue Facebook button on the lower right of the front of the phone glows when you are doing something that can be posted on Facebook, which happens with a single press. For example, you can instantly post pictures and music to your Facebook page. With the snap of a shutter button, the 5MP camera on the handset will automatically focus, take a picture, and upload the image to your Facebook Wall. The VGA front facing camera will snap a self-portrait or let you conduct a video chat. While using the music player on your phone, click the button to post the music on your Facebook profile. 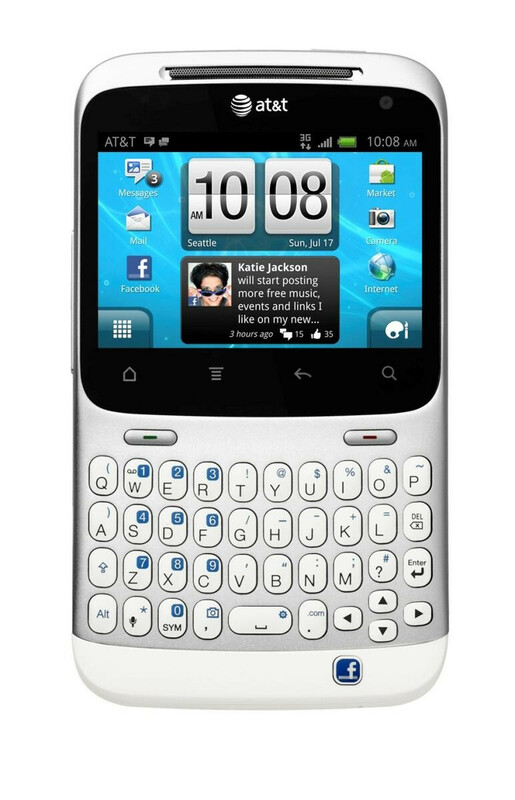 Open up the Facebook app on the HTC Status and you can start texting away with your friends, using the portrait oriented physical QWERTY keyboard located below the 2.6 inch HVGA touchscreen. Android 2.3 is aboard and a modified version of HTC's Sense 3.0 is on top of the Gingerbread OS. While the HTC Status will be available this summer, an exact launch date and pricing was not disclosed. The device is aimed at the Facebook generation and should find some buyers amongst heavy duty users of the social network. These are the users who really don't care if their phone has a dual-core processor and a Super AMOLED display as long as they can stay connected to their friends. 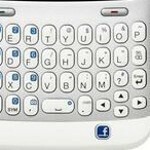 As far as HTC's other Facebook integrated handset is concerned, the HTC Salsa will apparently not be offered by AT&T. I'm glad we the people of AT&T could get such an amazing high quality phone from HTC like this and not some usless low-end touch screen phone similiar to the Sensation. This device falls somewhere between "who cares" and "good for a laugh" status. (Pun intended). If you ain't a 13 - 15 year old teen chick in need of a toy on her B-Day, then I do not know why you would be caught dead with this thing. To Phone Arena: What is this, a slow news day? This is a FEATURE news story?? Rather you just make something up.